Welcome friends and lovers to the Harvard Lunch Club Political Podcast number 219. (Whoa Nellie!) It is the Homeland Insecurity edition of the show with your rock-solid hosts radio guy Todd Feinburg and AI guy Mike Stopa. 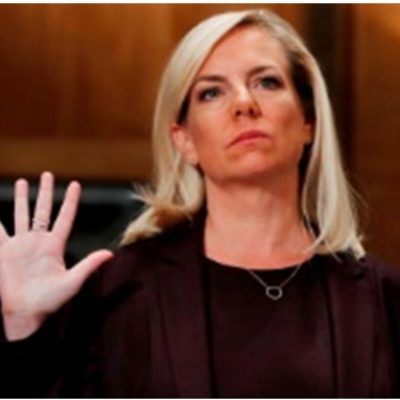 This week, rumblings (at last) in the department of homeland security and Kirstjen Nielsen is (at last!) out, out, OUT!!! She of the Bush ideology, the foot dragging, love-those-dreamers persuasion. And now in charge (for the moment) it appears to be the Red Cross Knight Stephen Miller. Is it possible that the Trump Administration is finally going to actually get serious about the issue that won him the White House? Hope so. Then, we discuss the Dems plan for a nationwide $15 minimum wage. Oh how jolly. I’m sure that will go over really big in Mississippi. Good luck. Jim Geraghty of National Review and Greg Corombos of Radio America laugh as Utah Sen. Mike Lee hilariously demonstrates the absurdity of the Green New Deal with a picture of Ronald Reagan riding a velociraptor and Star Wars references during a floor speech. They also dig into what happened in Chicago after state prosecutors abruptly dropped all charges against “Empire” actor Jussie Smollett. And they also rip Biden for attempting to win over progressives by condemning “white man’s culture” and saying he wish he could have done something more during the Anita Hill hearing. Mature female, retired from a CA Dept of Social Services. Have severe hearing problems so unable to listen to podcast or videos without CC. Have two service parrots to alert me to visitors and phone. Jim Geraghty of National Review and Greg Corombos of Radio America welcome a Politico report showing that even if liberals soaked “the rich” they wouldn’t come anywhere close to paying for single-payer health care or the Green New Deal. They also shake their heads as testimony from former FBI attorney Lisa Page suggests the FBI was considering whether to recommend a federal charge against Hillary Clinton over her mishandling of classified emails but the Justice Department made it clear it had no intention of pursuing the case. And Jim offers his hilarious assessment of climate change activists refusing to have children until the world gets serious about climate change. Right now, our listeners get a special offer that includes a 4-week trial PLUS free postage AND a digital scale. See for yourself why over 700,000 small businesses use Stamps.com. Just go to Stamps.com, click on the Microphone at the TOP of the homepage and type in THREEMARTINI. Hello podcast fans, young and old, big and small and welcome to this edition of the Harvard Lunch Club Political podcast, number 215(!!!) the Irredeemable AOC edition of the show with your lost-soul hosts, east coast radio guy Todd Feinburg and west coast AI guy Mike Stopa. Each week we bring to you the meat, the core, the essence of the political scene with cutting insight, guffaw-inducing humor and a pinch of profundity. This week we bring you the infamous Alexandra Ocasio-Cortez, the big AOC, the woman of the hour. It is the sunset of capitalism and the dawn of a new human stewardship of the sacred space-travelling temple that we call planet Earth. It is a moment of renewal, it is a platform so sincere that the trees will be hugging us back. AOC forever! James B. Meigs joins City Journal senior editor Steven Malanga to discuss the limitations of renewable energy and the need to expand nuclear technology as a source of clean and reliable electricity. Jim Geraghty of National Review and Greg Corombos of Radio America fume after a federal judge decides the debate over whether women should have to register for the draft has gone on long enough and rules the all-male draft is unconstitutional. They also defend California Sen. Dianne Feinstein after supporters of the Green New Deal send small children to beg Feinstein to join their cause. Then Jim unleashes a powerful response as Rep. Alexandria Ocasio-Cortez questions whether the planet is in such peril that young people should no longer have children. And they have their favorite catch phrase ready as former Senate Majority Leader Harry Reid bashes Pres. Trump and says he misses President George W. Bush, whom Reid derided as a loser and a liar a decade ago. Jim Geraghty of National Review and Greg Corombos of Radio America blast Virginia Gov. Ralph Northam for suggesting that all of Virginia was as behind on race relations as he is and that only he can heal the divisions there because he’s a doctor. They also explain why Minnesota Rep. Ilhan Omar is morally and factually bankrupt for suggesting that the only reason many lawmakers support Israel is because they get money from the American Israel Public Affairs Committee. And they patiently try to tell 2020 presidential candidate and New Jersey Sen. Cory Booker that debating climate change is not the same as fighting the Nazis. Keep yucking it up. 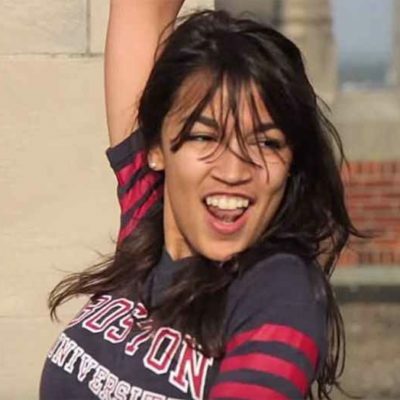 Talk about Alexandria Occasional Cortex. Hey, it could never happen here right? Not so fast, slick, your laughter is actually based in ignorance or forgetfulness. 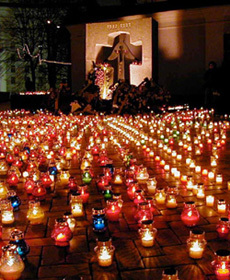 Stalin engineered a terror famine, the Holodomor, and Mao killed off up to 60 million inconvenient people with his Great Leap Forward. Today, Venezuelans are eating rats. Now are you focused? Alexandria Ocasio-Cortez’s socialist scheme reveals, in its own words, the red origins and aims of the Green movement. Instead of greedy capitalists oppressing wage slaves, evil polluters are killing everyone. those at the top of the intersectional virtue pyramid hit hardest. An end to industrial civilization, but like in a totally pro-union way. If this week’s Green New Deal boomlet was politically significant, it wasn’t just because a legislative newcomer elected by 110,318 voters in Queens and the Bronx proposed a government program to renovate or replace every building in the country within ten years, abolish internal-combustion-engine cars and commercial air travel, shut down all conventional utility generation without building nuclear, phase out flatulent cows, support persons “unwilling” to work, print new paper money to pay for it all, and on and on. New York City voters have elected radical mavericks to Congress before and will do so again. 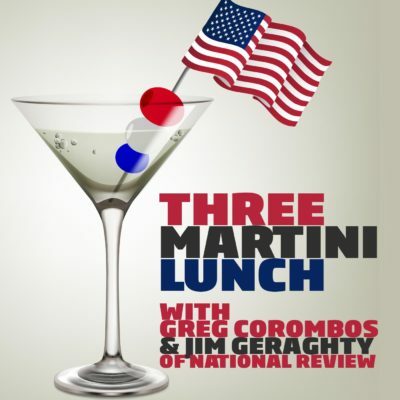 Jim Geraghty of National Review and Greg Corombos of Radio America are still shaking their heads over the political chaos in Virginia, but they are happy to see a weakened Gov. Ralph Northam give Republicans most of what they want on tax relief. 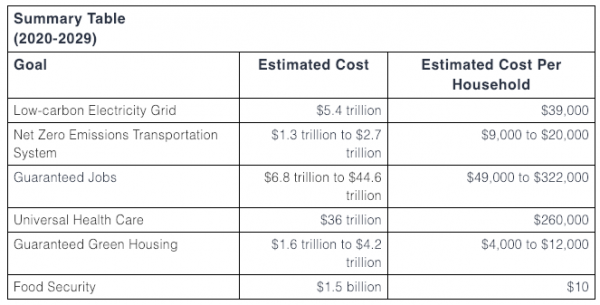 They also point out some of the most insane provisions included in the Green New Deal, proving how out of touch the socialists in the Democratic Party really are. And they shudder as former KKK official David Duke endorses Hawaii Rep. Tulsi Gabbard for president because he thinks Gabbard is least likely to send troops to die on behalf of Israel in the Middle East. Gabbard has denounced Duke and rejected the endorsement. Green New Deal – World is Saved! Never you mind about me. Milton Ezrati joins City Journal editor Brian Anderson to discuss the Trump administration’s trade negotiations with China and the “Green New Deal” proposed by newly elected Democrats in Congress, like Rep. Alexandria Ocasio-Cortez (D-NY).